Rolls Royce. Rolex. Bulgari. You know the names and you know what they stand for. Now think Champagne. Dom Perignon, right? Our client had a mark that was more exclusive than Dom. Trouble is, no one had ever heard of it. 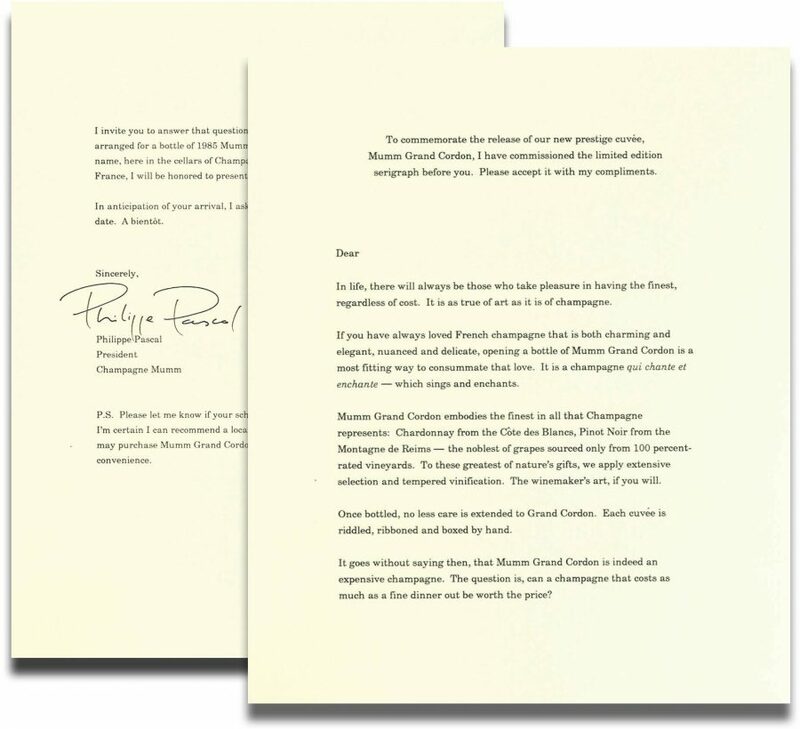 Mumm Grand Cordon had no cachet because it had never been advertised. Worse still, it was impossible to find. Stratospheric price. Zero recognition. Limited distribution. Together, they spell death for a mass marketer. But in direct response, they are the hallmarks of exclusivity. 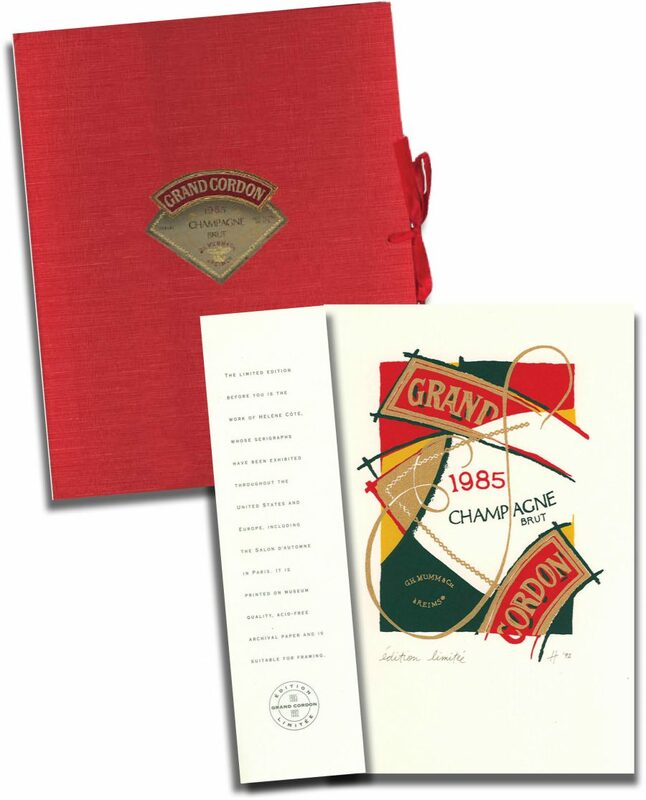 To underscore Grand Cordon’s scarcity, we shipped a limited edition serigraph – a genuine piece of artwork that we commissioned – along with an offer for a free bottle. To claim it, recipients need only visit the winery . . . in France. Naturally, we didn’t expect anyone to take us up on our offer. (Though incredibly, several did.) We simply wanted to make a statement. And to define our audience as individuals of both taste and means. accompanied by a fly sheet proclaiming the art’s provenance. 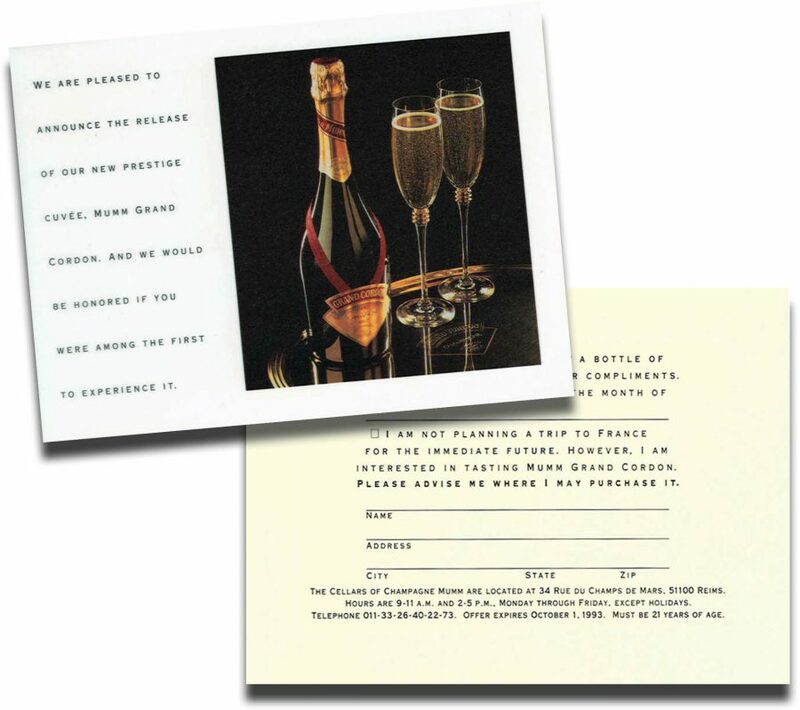 Can a Champagne that costs as much as a fine dinner out be worth the price? Come to the winery and judge for yourself. when they can be expected to claim it at the winery . . . in France.